1 Call to set up an appointment. 2 Fill in the contact form. 3 Email or Skype us. You’ve come to the right place, if you’re interested in changing your appearance. Whether you want to turn back the hands of time or need to modify an area of your body that you’ve never liked, Dr. Ramirez can help you. This site will introduce you to Dr. Ramirez; but in order to truly appreciate the difference he offers, please come in for a consultation. You’ll find that Dr. Ramirez will listen to your concerns and patiently discuss your wants and needs. 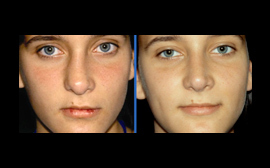 We know you may have many concerns, when it comes to plastic surgery. You'll get all of your questions answered by Dr. Ramirez. Dr. Ramirez will advise you on how reasonable your expectations are and since there are so many ways of reaching a desired goal, he will discuss with you the pros and cons of each alternative. Dr. Ramirez will never agree to perform a procedure on you, just because you are willing to pay, if it is not in your best interest. Furthermore, he’ll never try to upsell you to more procedures than you need. He won’t promise you results that are unreachable, and he will never rush you to make a decision. Included in this website are videos and information on a variety of procedures you may be interested in having performed. Please take your time reviewing them. It's important to note that each patient is treated uniquely and that your procedure will be customized for your specific needs. We hope the time you spend on this website will be informative. However, we realize it is not comprehensive. We know that there is a lot of information circulating on the web, some of which can be confusing or misleading. As an educator, Dr. Ramirez wants you to fully understand your procedure, no matter how small or large it may be. It's best to come in for a consult, so Dr. Ramirez can see those parts of your body you wish to correct. However, since many of his clients come from around the world, it is possible to schedule a consultation virtually through the Internet. As a medical professional, I work with doctors every day. I needed some work to restore a more youthful appearance. I found Dr. Ramirez to be caring, understanding and a consummate professional. 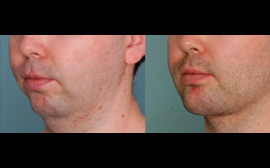 I am extremely pleased with my results and recommend Dr. Ramirez to everyone who is need of a great plastic surgeon. 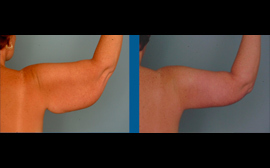 A body lift will improve your shape and tone. 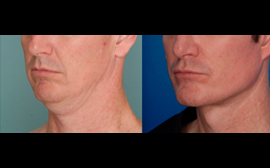 Excess fat and skin are removed to restore skin elasticity. 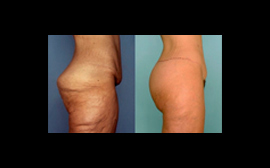 In addition, the procedure(s) can improve a dimpled, irregular skin surface, commonly known as cellulite. Breast surgery includes: breast augmentation - to increase the size of the breast; breast lift - to restore sagging breasts to their youthful location; and breast reduction - to reduce the size of the breast. Facial rejuvenation includes a variety of invasive and non-invasive procedures that will restore a younger appearance to your face. 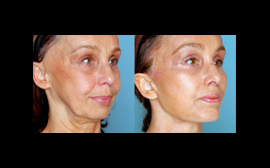 The key to facial rejuvenation is to start before people will see a dramatic before and after effect. Here are just a few examples of before-and-after photos. For more photos, please go to the Photo Gallery. then contact Dr. Ramirez for a personal consultation so that he can discuss with you wants and needs. Known for his innovative surgical techniques in reconstructive and cosmetic surgery. Former Clinical Assistant Professor at the Johns Hopkins University and the University of Maryland Schools of Medicine. Authored over one hundred articles and several textbooks on aesthetic surgery and endoscopic surgical techniques. Named one of 2,000 Outstanding Scientists of the 21st Century by the International Biographical Centre in Cambridge, England. National and International speaker at medical conferences. Named by Castle Connolly as a Top Doc for 10 years in the US. Similarly, named as one of the best plastic surgeons in Peru. The creator of the RZ Mandibular Matrix System, as well as a complete line of EndoFacelift™ Instruments. Carefully identify what you would like to change; then consult with Dr. Ramirez. With decades of experience, Dr. Ramirez and his team will execute your plan. After recovery, you will see and feel entirely differently about yourself! It's time you rewarded yourself with the body you've always wanted.